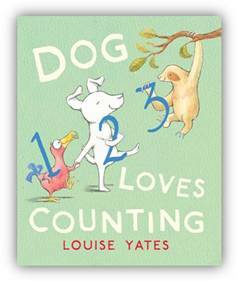 If like me you get a bit bored with reading A Night Before Christmas every night for the two months preceding Christmas then this is the book for you. 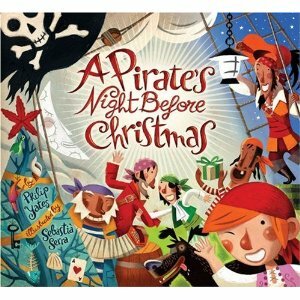 A Pirate’s Night Before Christmas by Philip Yates and illustrated by Sebastia Serra is a brilliant take on the classic poem. Not only does it have an element of humour it actually scans quite well. We loved the illustrations which gave us plenty to talk about from multicoloured sea horses called salty, scurvy and sinbad etc right the way through to Sir Peggedy. 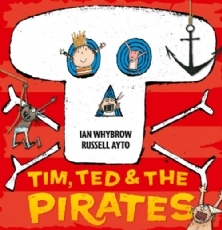 There is also a brilliant Pirates Glossary at the back. I find it quite hard to interest Boy in books and he is exceptionally picky about what he actually wants to read. I am delighted to report that this has already become a firm favourite in our household, I’m all for a bit of wit and if I can find a book which is seasonal yet delights then that’s even better.